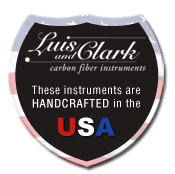 Incredibly responsive, the Luis & Clark carbon fiber cello rewards beginning students with wonderful, loud projection right from the start. Very difficult to damage and requiring very little maintenance, this cello is ideally suited for beginner students. Many students play on subpar instruments, which is detrimental to a young musician’s motivation. Held in high esteem by professional musicians around the globe and across genres, this is an instrument that will carry you beautifully into a professional career in music without any regular maintenance expenses except for changing the strings. Excellent for soloists and orchestra/pit musicians, the Luis & Clark cello was designed specifically to stand up against a full orchestra or grand piano, with very powerful resonance and a beautiful tone. The cello can articulate the softest passages but has enough power to fill a hall when needed. 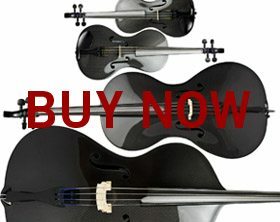 Extremely resistant to damage, climate and humidity, this cello can be played outdoors in the winter snow or in a hot, humid rehearsal hall without fear of it fluctuating or cracking! It’s perfect for outdoor gigs and in situations that may expose instruments to damage (touring, hiking, pit orchestras, schools, bars, etc).